The Nashville personal injury attorneys at Matt Hardin Law have represented countless dog bite victims in seeking compensation for the harm they have suffered. We place nearly 20 years of legal experience behind every case, finding all sources of potential liability, including those related to dangerous pets. At Matt Hardin Law, we know that animal attacks are traumatic. We understand the pain you are dealing with, and our Nashville dog bite lawyers are dedicated to recovering the compensation you deserve under the law. The Centers for Disease Control report that 300,000 dog bite victims require emergency care each year. Over 82% of these patients are children under 15 years old. Kids between 5 and 9 suffer much higher injury rates; babies are 370 times more likely to be killed by a vicious dog. Beloved pets can also be dangerous watchdogs and lash out at perceived threats. The duty of dog owners to prevent unreasonable harm requires a bona fide effort to protect unsupervised kids and other invitees on the property from dog attacks. Dog owners are also potentially liable for injuries caused by this dangerous condition when their pet causes harm outside the premises, and our Nashville dog bite lawyers can help you seek compensation under these circumstances. Under Tennessee law, negligent property owners are potentially liable for bodily injury or death caused by their pets where the owner is aware of the dog’s propensity toward biting. 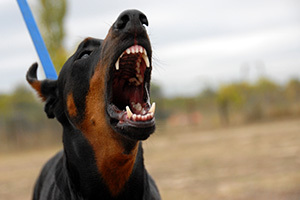 Even if the dog bite occurred outside the premises, owners may still be liable for the loose canine’s behavior. In addition to fines for violations of local ordinances and leash laws, pet owners must also bear the cost of bite-related injuries resulting from premises liability. If you or someone you love has suffered a bite-related injury, call the Tennessee dog bite lawyers at Matt Hardin Law today. We are dedicated to pursuing coverage for all of your expenses, and fighting to secure your financial future. Always putting your needs first, our attorneys work diligently to win the compensation and justice you deserve after suffering a dog bite in Nashville or another local community. Call (615) 200-1111 today for a free consultation or contact us online.